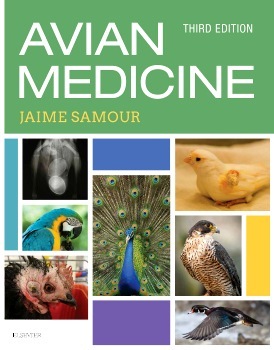 ・Comprehensive coverage of all aspects of clinical management written by leading experts in the field provides readers with a depth and breadth of knowledge on avian medicine and care. ・Coverage of a wide variety of species - including raptors, bustards, and many others - enables practitioners to treat a greater assortment of patients with more confidence and skill. ・Bulleted text and tables help present information in an accessible way. ・More than 900 color images give readers a better picture of disease and how it will be encountered in practice. ・Appendices bring together wide-ranging data on hematology and blood chemistry reference values, commonly used pharmaceutics and other information relevant to avian practitioners. ・NEW! New chapter sections, revised references, and updated suggested readings ensure that readers have the most up-to-date information. ・NEW! New chapter contributors ensure the information in the text reflects the most current techniques and advances. ・NEW! Expanded content on parrots, finches and fruit-eating birds has been added to the text to make content more relevant to the needs of today's practitioners. ・NEW! Thoroughly updated content includes the latest surgical techniques and procedures to keep practitioners on top of the most cutting-edge information in the field. ・NEW! Additional content and images on MRI have been incorporated throughout the text to complete the coverage of other advanced imaging techniques such as CT scans.